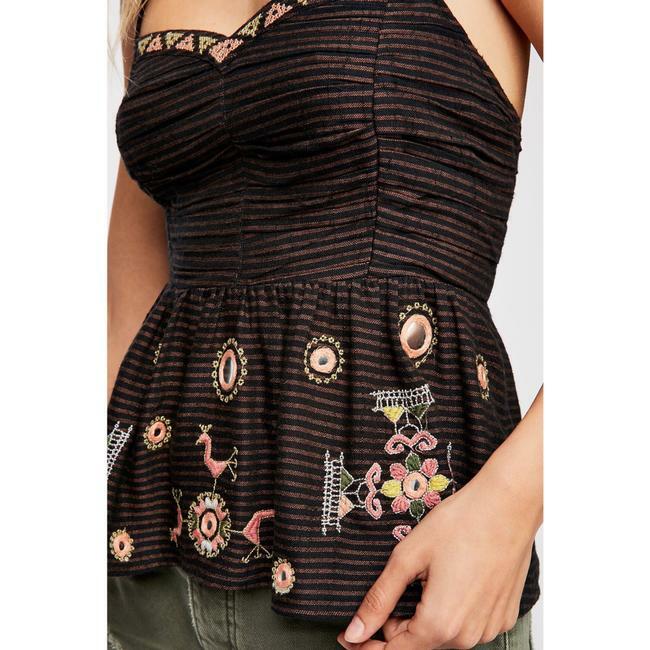 In a striped cotton blend, this effortless top featuring colorful embroidery and mirror detailing along the bottom. Halter silhouette with adjustable neck ties and beaded tassel ends. Smocked elastic band in back for an easy fit.